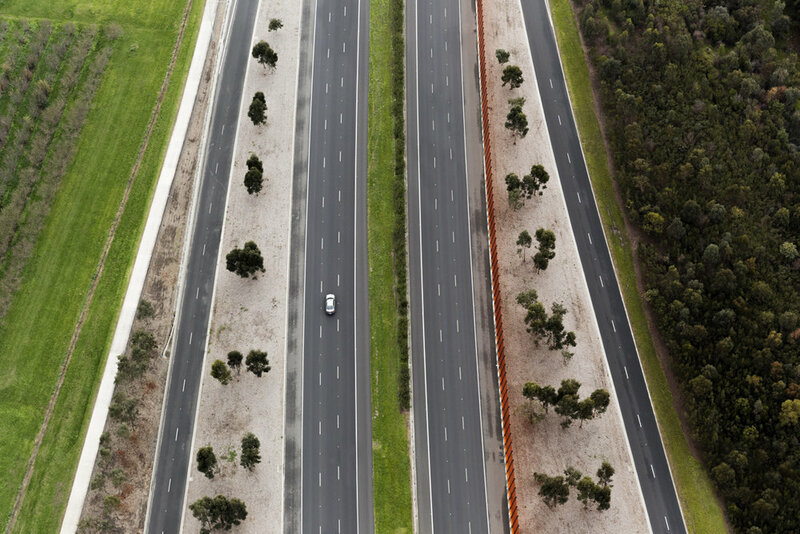 This one is close to home, a highway that was built to connect the eastern suburbs of Melbourne. I used to use this road all the time to get to friends and family, as well as work. When you use it, you don't realise how useful it is, and then as soon something changes in your life, you find yourself using different roads, sometimes to get to the same places, others you'll never go again. During the week the road is incredibly busy with people travelling to and from work. On this occasion I get a quick chance to capture a usually busy space almost completely abandoned.